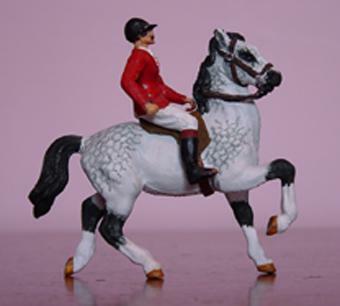 Britains produce a huge range of toy soldiers, die cast farm machinery cowboys and Indians, medieval knights and scale model animals. I collect both the farm and zoo sets. 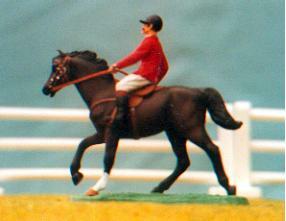 Here I have photograph of a Cross country horse and rider and a customised military horse with a repaired male show jumping rider. I have had to rebuild his head where his hat had been damaged years ago. Damson Robert, an old lead Britains cob. He was rescued from a box of bits that were going to be melted down. I paid 30 pence for him as he had only three legs. I repaired him with Milliput and repainted him with acrylics. 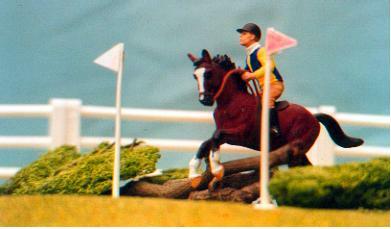 I found this Britains eventer buried in my garden. 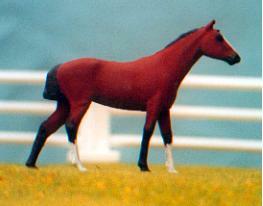 he was duly repainted and photographed as a cross country competitor. The jump is made from pieces of twig, moss and paper flags. 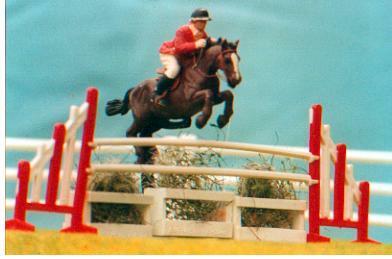 This Showjumper, his rider and jump are all original pieces from a Britains showjumping set from the early 60s. The set originally belonged to a relative of mine and was passed on to me. 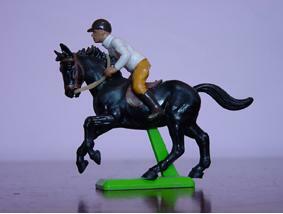 Are Bee even has his original tiny rubber saddle. The only piece I have had to replace is the bridle.